The Sony Xperia Z5, Sony Xperia Z5 Premium and the Xperia Z5 Compact are now officially announced by the Sony at a press event two days before the IFA 2015 expo opens to the public. The regular sized Xperia Z5 comes with the familiar 5.2 inch diagonal established with the Z2, and the Z5 Compact has the same measurement of display of 4.6 inches as was in the Z3 Compact. 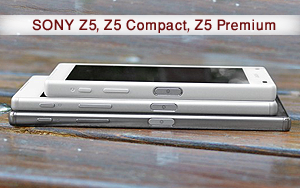 The Z5 has a FullHD panel with a 428ppi density, while the Compact sticks to 720p resolution, resulting in 323ppi. Both displays are IPS units with the TRILUMINOUS and X-reality technologies inside and undisclosed make chemical tempered glass on top. The powerful Snapdragon 810 powers both smartphones with a dual quad-core CPU, ticking at up to 2GHz, and Adreno 430 GPU. You get 3GB of RAM on the vanilla model, but only 2GB on the Compact. Both models will have 32GB of built-in storage, though the Compact may ship with half than in certain markets. The microSD slot is universally available, though. The entire Xperia Z5 family will run on Android 5.1.1 upon launch. Number one on the new features list is the 23MP camera. It uses a custom-made sensor, exclusive to Sony, housed behind a 24mm-equivalent f/2.0 lens. The sensor’s effective area is actually larger, as we’ll try to explain, and you’ll be able to shoot 23MP images in 4:3 aspect or 20MP in 16:9. The camera app has been thoroughly redesigned as well for a more contemporary look and improved usability. 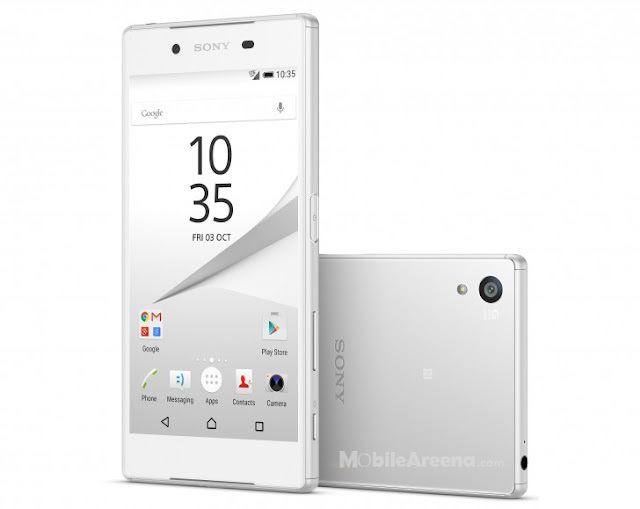 The Xperia Z5 bears a strong resemblance to the previous model, but a few new design elements clearly set it apart. Chief among those is the reworked power button, now doubling as a fingerprint sensor. The now aluminum frame has an Xperia logo engraved on the side, while a frosted back panel replaces the glossy predecessor, aiming to put an end to smudgy backs and to achieve a more unified look between front and sides. The Xperia Z5 Compact shares the fingerprint sensor and the Xperia logo in the frame but looks a lot chunkier. It measures 127mm x 65mm x 8.9mm so it’s not really thin, it’s just that the Z3 Compact did a much better job at masking its waistline. The 138g of heft are justified here by the 2,700mAh cell capacity. The Sony Xperia Z5 will be available in the more formal White and Graphite Black, but also Gold and Green, while the Z5 Compact spices things up with Yellow and Coral. The smartphones will be on store shelves globally starting in October, but pricing remains to be detailed. 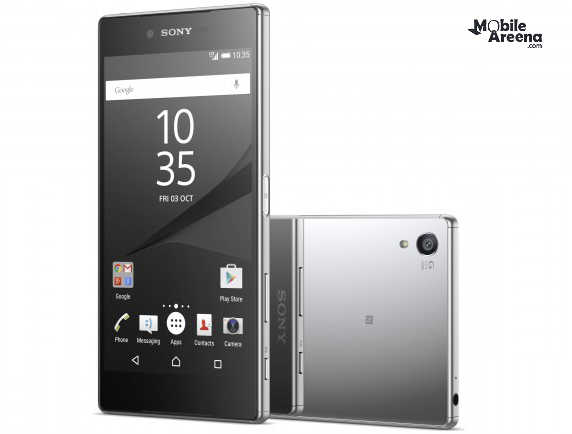 The Sony Xperia Z5 Premium has a stainless steel frame (unlike the other Z5s, which are made from aluminum). It's painted in Black, Gold or the unique Chrome option (a mirror finish on the back). The body is IP65/68 rated – dust-tight and waterproof with a cap-less USB port. A new addition to the Z family is the fingerprint sensor on the redesigned Power key. Things naturally flow from waking the phone with the key to unlocking it with the sensor, which also supports the FIDO standard for online payment services. The phone runs Sony-flavored Android 5.1, naturally, powered by a Snapdragon 810 chipset with 3GB of RAM. You get 32GB of storage out of the box and can add up to 200GB more with a microSD card if you need extra room for those 4K videos. 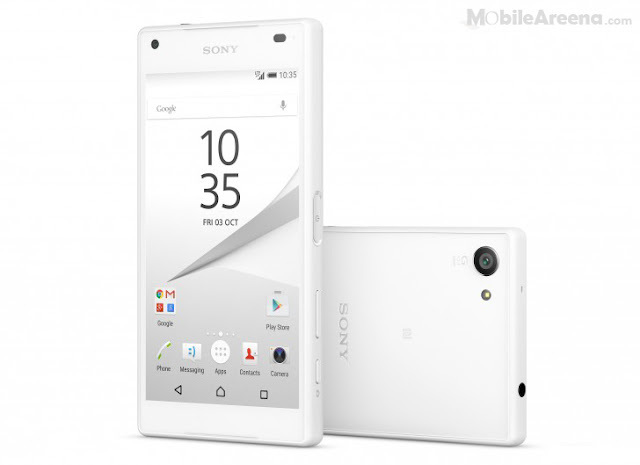 The Sony Xperia Z5 Premium will launch globally in November, pricing will be revealed around that time. It will come in single and dual-SIM versions, both of which support Cat. 6 LTE. The Sony Xperia Z5 Premium is the first smart phone to reach the next benchmark in display smartphone technology – the whopping 4K resolution – and comes with a much-improved camera to match. The 4K Triluminos display is an IPS panel has 3,840 x 2,160px resolution, that's four times 1080p or just over 8MP. It puts 806ppi pixel density in the palm of your hand for crystal clarity of 4K footage from Netflix, YouTube or some that you've shot yourself. You can do that with the brand new camera, the first major upgrade since the Z1. The Xperia Z5 Premium packs a new 1/2.3" Exmor RS sensor with 23MP resolution (shared with the other Z5s). The sensor sits behind a Sony G Lens with an f/2.0 aperture and tech borrowed from Sony's α line of lenses. The camera captures 4K videos with improved Intelligent Active Mode and SteadyShot technology for smooth, sharp videos at day and at night. ISO for videos goes up to 3,200, for photos the maximum jumps to 12,800.